New Delhi, September 16, 2017: In a bid to commemorate the Sahasrabdi anniversary (1017-2017) of great saint His Holiness Sri Ramanujacharya, his statue towering 216 feet the Statue of Equality will be constructed adjacent to JIVA Asramam in Sriramnagar, Samshabad, Hyderabad, India. This Rs. 1000 crore project was conceptualized in the year 2014. 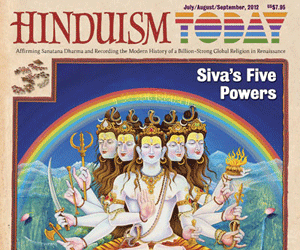 The Statue of Equality will be made of Pancha Loha (Combinations of 5 Metals). The statue will be surrounded by 108 Divya Desas which will be built in stone, rich with ornate architectural detailing. Audio guides in at least 5 languages including English, Hindi, Telugu, Tamil etc will be provided to all visitors explaining the history of each of these temples. An educational gallery with state of art technology will be setup exhibiting the inspiring incidents from the life of Bhagavad Ramanujacharya. A gold deity of Bhagavad Ramanujacharya weighing 120 kgs representing the number of years He lived in this world, will be installed in the Dhyana mandiram (meditation hall). An Omnimax theatre will be constructed to screen highly educational and culturally significant short movies about the secrets of the Universe as recorded in our Vedic scriptures. The entire site will be environment friendly, with highly sophisticated security features on par with international standards. His Holiness Sri Chinna Jeeyar Swamy also spoke about The Legacy of Sri Ramanujacharya. He said: “A thousand years ago, in a society riddled with blatant caste based oppression, one man championed the cause of the downtrodden. As part of the Sri Ramanuja Sahasrabdi Millennium Celebrations 1000 years (1017-2017), His Holiness Sri Chinna Jeeyar Swamy also announced an International Short Film Festival on “His Holiness Sri Ramanujacharya” organized by Jeeyar Integrated Vedic Academy (JIVA) in association with Global Hindu Heritage Foundation (GHHF) & Savetemples.org, USA. 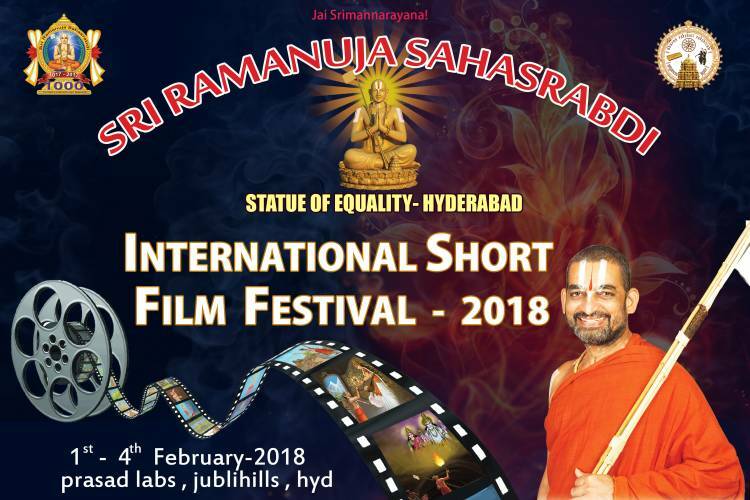 The International Short Film Festival on ‘His Holiness Sri Ramanujacharya” to be held between 1st and 3rd February, 2018 at Prasad Labs, Hyderabad, Telangana and Prize distribution ceremony will be held on 4th February 2018 at Sri Chinna Jeeyar Swamy Ashram, JIVA, Sriram Nagar, Shamshabad, Hyderabad-509217, Telangana. The theme for the film festival is ‘His Holiness Sri Ramanujacharya”. The films will depict the Glory and Greatness of Sri Ramanujacharya and also the reforms that he brought in the social life. The best Short Film will be given a cash prize of Rs.10 lakhs with “Sri Ramanuja Sahasrabdhi Puraskaram”, the Second best Short Film gets Rs. 8 lakhs and the Third best Short Film will get Rs. 6 lakhs. Three additional Special commendation cash prizes of Rs. 1 lakh each will also be given to selected Short Film makers. Apart from the prizes, winners will be honoured with Memento and Participation Certificate and every participant will get Appreciation certificate. Special Individual Commendations also will be presented in different individual categories like Best Actor, Best Actress, Best Director etc., in selected short films. List of selected films for Screening will be declared on 10th January, 2018 and Short Films selected by jury will be screened during Film Festival. The duration of the Short Film should not exceed 8 minutes in duration. The films prepared after 2015 are only eligible for the entry. An authorization letter should be enclosed along with the entry. Those films which already got award in any other film festival should not be sent as entry for this film festival. The Short film made in HD format (1920X1080) and properly edited should only be sent for this film festival. Short Film can be made in any language but English subtitles are mandatory. The film should be in MP4 format and two DVDs must be sent to us. The English sub-titles are compulsory for all the entries. The film should precede with title, name of the director, the duration etc. You should mention that the DVD sent by you is the final cut. Entries can be sent to the below address before 1st December, 2017. Renowned Ghazal Singer, Triple Guinness World Record Holder “Maestro” Dr. Ghazal Srinivas will be the Chairman of this International Short Film Festival. 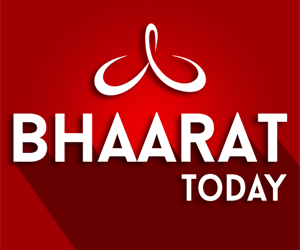 His Holiness Sri Chinna Jeeyar Swamy, “Maestro” Dr. Ghazal Srinivas, Business Chairman (T&UI), GMR Group Sri BVN Rao and MYHome Group Chairman, Sri Jupally Rameshwara Rao addressed the Media.